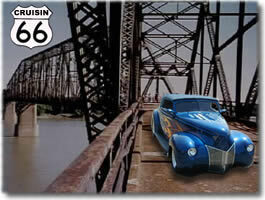 This is the gateway for email contact with Cruisin66.com. Enter the text from the black box below and click "OK" to proceed to our email contact page. Please type the code you see in the black box into the text field just below it. If you cannot clearly read the code, just click "Reload" to generate a new one. Thank you for your cooperation. Important: The code you enter is case sensitive! Uppercase and lowercase letters must be entered accurately. Enter no blank spaces. The numbers zero (0) and one (1) are not used in the code to avoid confusion with similar letters.